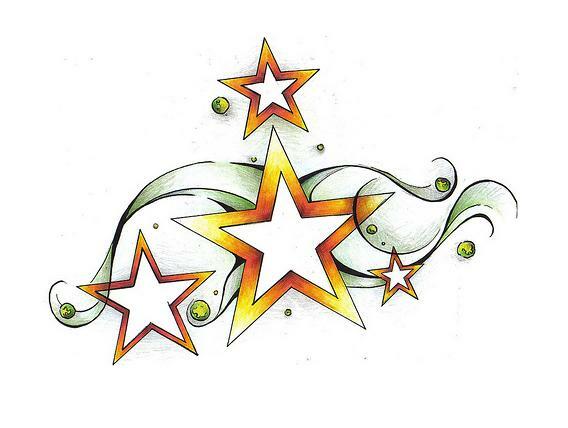 Shooting Star Tattoo Designs have been a popular artistic theme throughout history among tattoo enthusiasts all over the world. The compelling lights in the sky known as shooting stars (also known as falling stars) are actually meteoroids. A meteoroid is merely a particle of debris in the Solar System. A meteor is the visible streak of light that shows when a meteoroid enters the Earth's atmosphere. 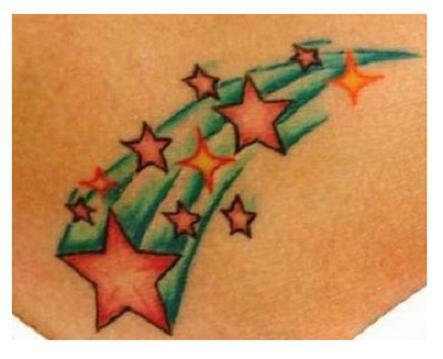 Shooting stars are visually appealing natural wonders believed to be signs of impending good fortune. They are often used as a source of inspiration by hopeless romantics for purposes like photography, wish making, marriage proposals, and Shooting Star Tattoo Designs. To print any of the designs shown here, just right click on any image, and select a SAVE option from your drop-down menu. Then PRINT it from your picture file. Alter the image in any way you like, to make it your own original design. Then run it over to your favorite local tattoo artist. 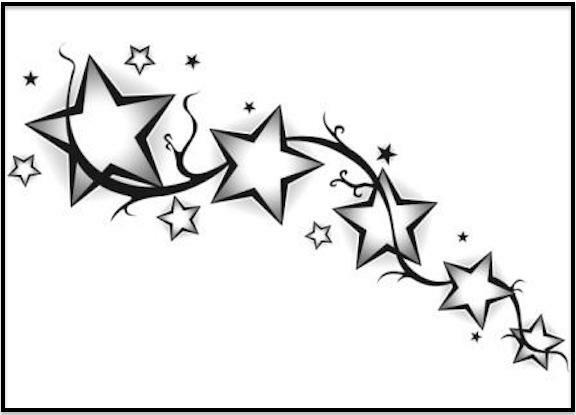 Or better yet, get tattoo paper at the office supply store and print your own temporary tattoos! 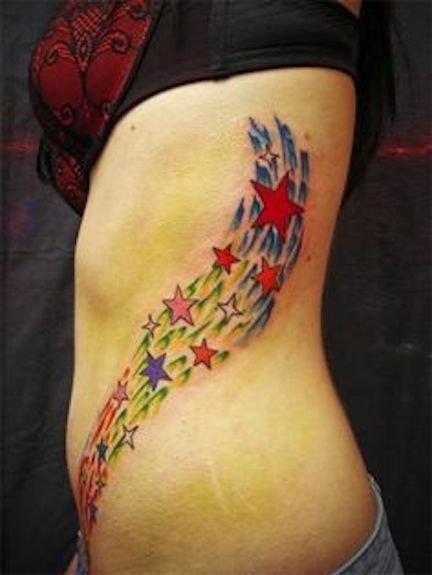 The art of tattooing has been popular for many thousand years, and remains popular worldwide. According to a recent phone survey, more than twenty-five percent of American adults have at least one permanent body tattoo. 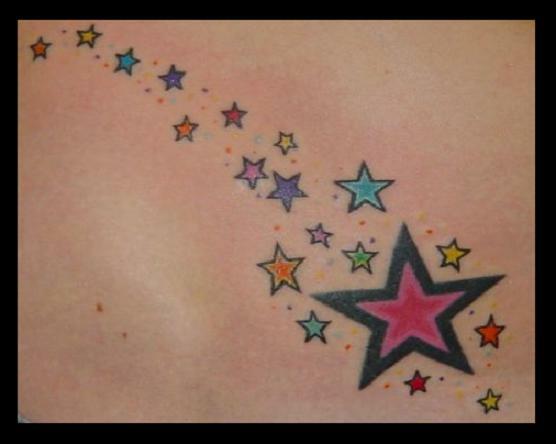 Permanent tattoos are created by injecting pigment into skin tissue using a needle. This process is painful, expensive and takes many hours to achieve good results. 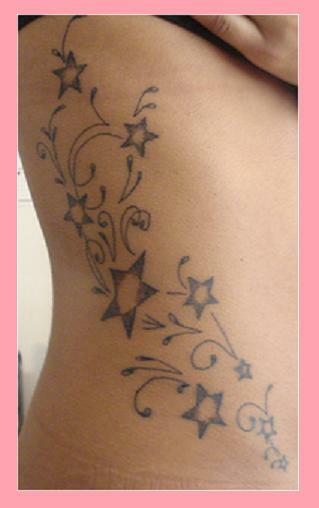 Permanent tattoos can only be removed (without much scarring) by way of cosmetic laser surgery. Temporary tattoos produce a similar appearance that can last several weeks. The most common style is a sticker, which is typically transferred to the skin using water. 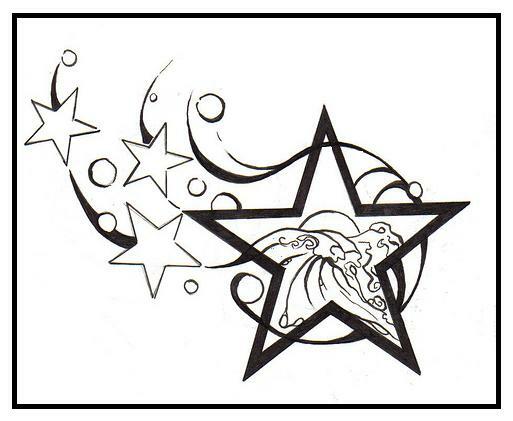 Today's temporary tattoos can look extremely realistic, but are easily removable with mineral oil. 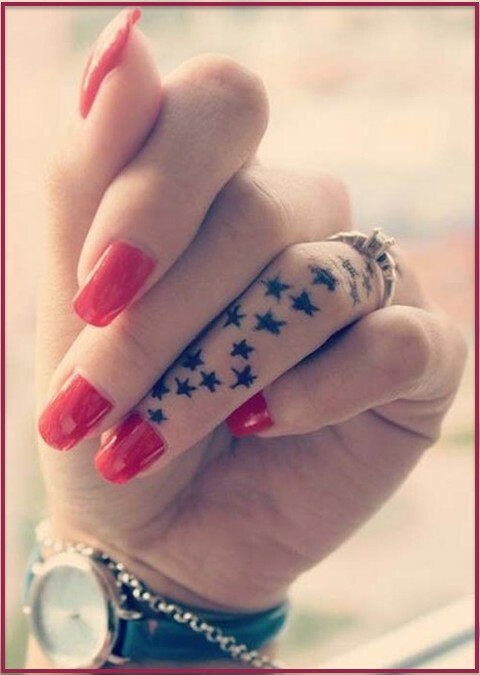 Temporary tattoos are increasing in popularity, as more and more people realize they can appreciate body art without feeling the need to prove to the world how tough they are. See this page for a collection of free, printable CHINESE ZODIAC TATTOO DESIGNS. Go here to learn how to draw SUPERHEROES. Hit this link for SKULL TATTOO ART, DRAGON TATTOOS AND MORE. Look here for a selection of AZTEC DESIGNS AND TRIBAL SYMBOLS.